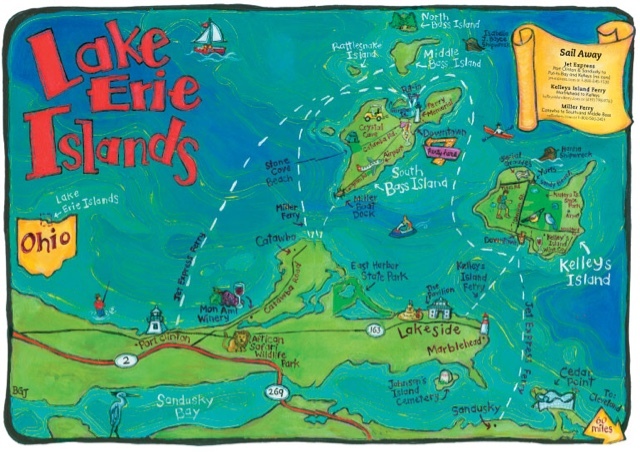 Lake Michigan (and beyond) Boating Adventures: Where to next?? Hi I'm Randy from Michigan. I've been following you guys on your website every since I stumbled across your 2010 Lk. Mi trip on youtube. Love seeing your adventures! I'm working on a 270 Sea Ray myself and am ancious to get it on the water. I could be wrong but I think I passed you guys on the tollroad in Oh this afternoon headed east and by the looks of it, I'd say I did. Hope you have a safe and exciting trip. Congrats on your baby news and I'm sorry to hear Ben's news. Wish you the best! Yep that was us! I guess we kinda stick out on the highway :-) We're in Put-In-Bay now, and plan on posting about it when we return! Thanks for the well wishes. We're lucky that we've both been feeling pretty good and been able to travel and (mostly) enjoy the summer. We're excited to start our adventures with baby aboard. Where in Michigan will you launch the Sea Ray when you're ready? Good luck in getting her in the water soon!! Hey I would be launching in St. Joe, S. Haven, Grand Haven or Mi. City. Either of these are in easy reach. I live in Three Rivers, Mi. Yeah I recognized the black tundra and black boat and thought hey wait a minute... lol Have a great trip! Visiting Northern Michigan - by Boat and Car!